Cookies are usually out of bounds to those on a gluten-free diet. 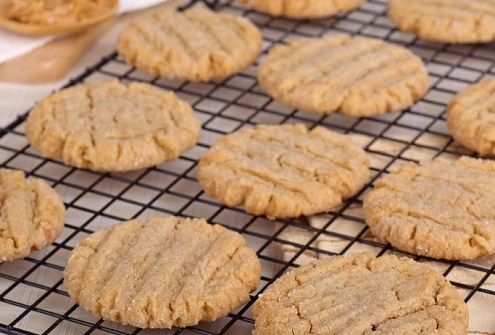 Old-fashioned peanut butter cookies, though, use no flour. You just need to mix 1 cup creamy peanut butter with 1 well-beaten egg, 1 cup sugar, baking soda and vanilla, and bake at 350°F for 10 minutes.